So we are now just days away from Furniture Fashion week so it is the time where we are planning on what vendors we will be seeing. Ok really most of the companies we have already booked our appointments with, so how about I give you a preview on a couple of the companies that we will be seeing at market. How about a great upholstery company that does beautiful bench made furniture right here in the USA?. Wesley Hall is one of my favorite companies they are a true American company that knows what true craftsmanship is. They still make everything by hand, no overseas product here. They have hundreds of items to choose from, thousands of fabrics and if there isn’t something that you absolutely love they will work with us to custom design the absolutely perfect piece. 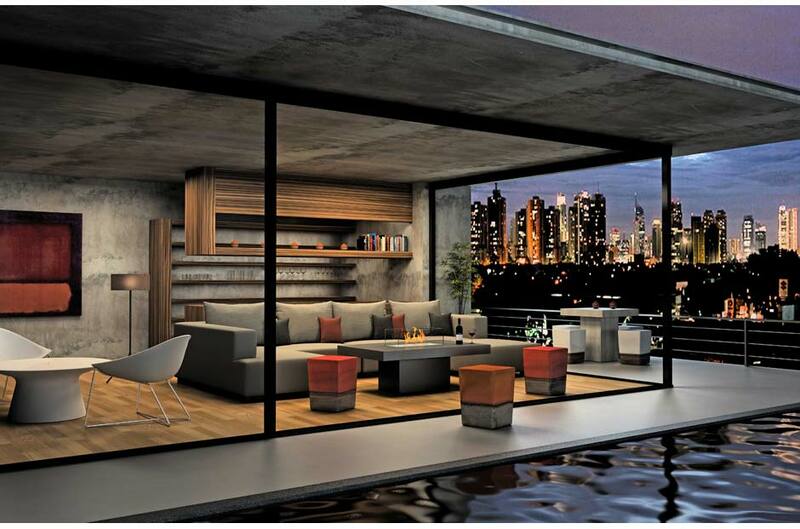 Outdoor furniture is always an evolving is style and design. One of my favorites is Season Living, they not only offer furniture but great design and all the accent pieces that every space needs. So for outdoor furniture to outdoor lighting to outdoor accessories Seasonal Living gets my vote and my time at market. 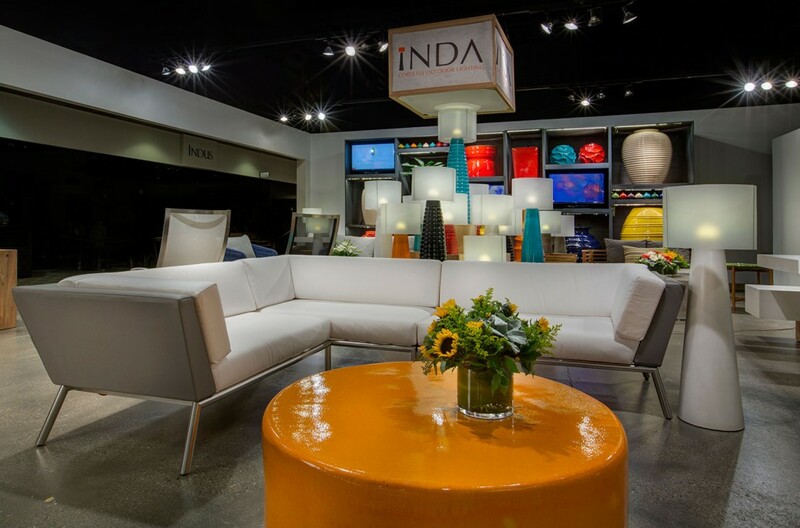 From brightly colored ceramic tables to comfy modern seating it is all about Season Living. 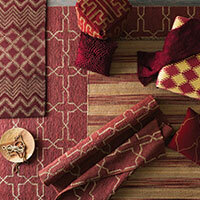 Area rugs add the perfect place for that added touch. Whether it is a traditional hand knotted oriental rug, an over-dyed oushka, or modern geometric Surya has all the options. 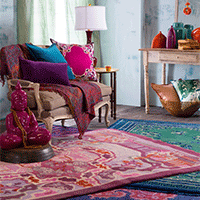 They have now also branched out to lighting, accessories and small furniture made with their beautiful rugs. They are always aware of the trends and are happy to be the trend setter. They always get my time at market. Bohemian style with a modern twist. So are you as excited as I am? It will be fantastic to see how these amazing companies outdo what they did last year. All of the showrooms have a bit more fun at Spring market so it should be a colorful time.